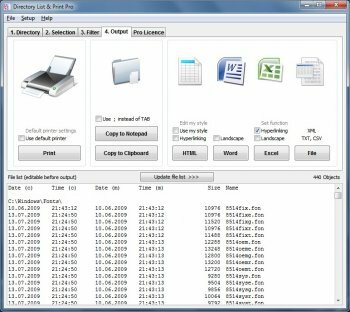 Directory List & Print Pro is a software for Windows and enables listing and printing of a directory structure in a simplest way. By copying to the clipboard the directory listing can be exported into other programs or opened directly in Word, Excel as well as Writer, Calc and HTML or XML. Directory List & Print Pro can directly be embedded in the context menu of Windows Explorer for immediate display of the requested directory structure. In addition to simply print, export, and list a directory tree Directory List & Print Pro offers a wide variety of further useful functions making this file manager a great tool you do not want to miss anymore. 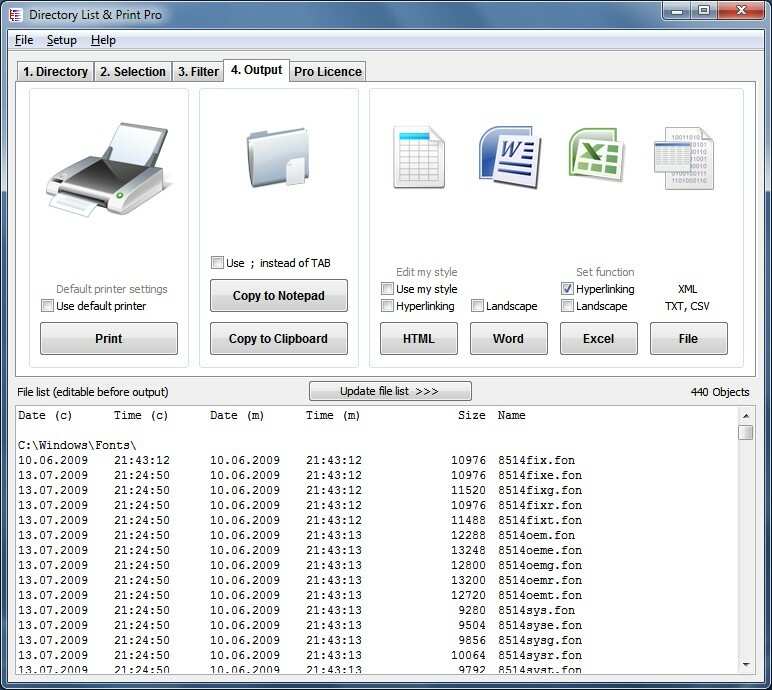 The set up and display of file lists can individually be defined by different selections and filter options. The directory listings can be formatted, filtered and saved to several other formats as well as be further processed; as for example you can directly delete, copy or move the requested files. MP3 and video lists can be displayed with information about the length. The requested depth for sub-directories is freely selectable. Many more options to create your requested directory listings are possible. Download includes the Free and Pro versions of the software. Karen Kenworthy, the author of Karen's Directory Printer, has died. I used to use Karen's Directory Printer. I tried a bunch of different directory printers. I like this one the best, but I can't remember the reasons why now. I wish it had presets so you can change the patterns and output easily. Simple program that fills a gap in Windows. Doesn't require install, which is why there is no uninstall. Word & Excel export are a nice touch.